Can avocado oil actually help with hair growth and just what is in it that makes it so good for your hair? Despite many websites giving a long list of vitamins, minerals, omega-3 fats and amino acids supposedly in avocado oil, and then giving reasons why all of these nutrients are responsible for its hair growth properties, the truth about using avocado oil on your hair is actually much simpler and more powerful. First a little cleanup of some of the avocado oil hair growth myths out there. Firstly, avocado oil is not a significant source of protein. It is an oil after all and the whole purpose of extracting an oil is the removal of proteins, carbohydrates and any other substances that aren’t fat based. Take a look at the nutritional information on a bottle of it and you will usually see the protein content listed as zero. While fresh avocados are a great source of vitamins and minerals, the oil itself does not contain the same sort of broad spectrum of these nutrients. Even a very good cold-pressed and unrefined avocado oil like this, with its gentle manufacturing process, is still created by separating the oil from the rest of the pulp. Obviously, many water soluble vitamins like vitamins C and the B vitamins will be largely removed. Fat soluble vitamins on the other hand, and one in particular as we shall see, are concentrated instead. Finally, while it does contain some omega-3 alpha linolenic fatty acids, the amount is relatively small (taking a high quality fish oil or using flaxseed oil on your hair is your best bet here). Far more important, from a hair benefits point of view, is the extremely high content of monounsaturated fatty acids in avocado oil. The monounsaturated fatty acid content in avocado oil is even higher than extra virgin olive oil and is one of the main reasons it is so good for your hair. Many people’s hair is dry, damaged and weak from poor nutrition, heat styling, chemical treatments and environmental pollution. Monounsaturated fats, when applied directly in a hair mask, can moisturize, nourish and strengthen hair strands, improving the way they look and protecting them from damage. 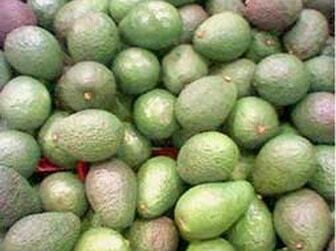 Massaging avocado oil into your scalp also stimulates blood flow to your hair follicles. With improved blood flow and circulation to the scalp, more nutrients can reach the follicles to stimulate new growth and healthier hair in general. Finally, and perhaps most beneficially for hair care, its monounsaturated fatty acids, phytosterols and high levels of antioxidants like vitamin E, are well absorbed into our scalp and hair shafts. This not only has a highly moisturizing and protective effect against environmental stressors and damage, it may also stimulate new growth and help unclog blocked follicles. The combination of antioxidant vitamin E, moisturizing plants sterols and the rich levels of monounsaturated fatty acids in avocado oil, provides three different nutrients that have been individually recommended for stimulating hair growth, in one simple, highly absorbable topical treatment. While there are no clinical trials I’m aware of (and are unlikely to be since pharmaceutical companies can’t patent natural treatments), many people report positive results with using avocado oil for hair growth. Applying a high quality cold pressed avocado oil to your hair will improve its appearance and texture while strengthening and moisturizing the strands. See the page on avocado oil treatments for some simple homemade ideas that are likely to be far more effective than your expensive store bought conditioners. Massaging avocado oil into your scalp stimulates circulation and allows it to penetrate in deeply, providing beneficial nutrients, unclogging blocked follicles and, reportedly for many people, stimulating new growth. Last but not least, use avocado oil for healthier cooking and as a recipe addition or salad dressing. Good nutrition on the inside is even more important for strong and healthy hair in the long run. One simple way to cover a broad range of nutritional bases, and prevent deficiencies that can show up as weak hair and bad skin, is to take a well designed green powder like Patriot Power Greens reviewed in detail here. Next up is a look at how to save money on moisturizers with avocado oil and improve not just the strength and skin of your hair but your skin complexion as well. Thank for the clearification, am glad and satisfied. avocado oil where can get in bangladesh? I’d recommend iHerb as they deliver worldwide cheaply. Any of their links on this site will also have a $5 discount of your first delivery. Avocado oil is also very resilient to heat and is a good heat protecting alternative to other “protecting” sprays. I’ll answer any questions I can on here so it may help others as well. A reference link if your article goes on the plattsburgh.edu site would also be greatly appreciated and shared on this site’s social media. Is expeller pressed avacado oil still suitable for hair growth? I had no idea there was cold pressed AO. I am considering just buying a bottle of cold pressed for hair only and repurposing my expeller pressed for kitchen only. I’d use the cold pressed avocado oil for the kitchen. It’s best for both purposes for the future but expeller pressed should be fine for the hair as well. Is avocado oil 100% healthy and halal? and is it organic? Avocado oil is 100% healthy and the links in the article are to organic avocado oil. It will say so on the bottle if it is organic. As to halal avocado oil I would imagine cold pressed avocado oil would be considered a natural food and thus halal but I’m not aware of any brands that have paid for the certification. Avocado and egg yolk is often used as a hair mask for healthy hair so it may help prevent split ends and allow your hair to grow longer. Why would avocado oil not be halal? Avocado is a vegetable. All fruit and veg are halal. I tried avocado oil for the first time yesterday. My daughter had suggested that I try it, but I kept putting it off. Well bottom line….my hair is currently in braids and I was looking for a Great moisturizer and something to soothe my scalp. Avocado oil did it for me. I’m hooked!! Glad to hear avocado oil works so well for your hair. Jim, How do I apply avocado oil to enough hair growth. How to do. Mash a ripe avocado (pit removed) with one egg, then apply this home remedy to wet hair. Leave on for at least 20 minutes, then rinse several times. If you are not up for all the dirty mashing in the kitchen, you can also use the Shielo Intensive Mask, which has Avocado and other oils in it. Both work well! Hey, I don’t have the ingredients to make avocado oil. First does it stop baldness and regrowd hair? What are my solutions? HI Jim, I have been using coconut oil and olive oil for my hair. Either I’m not adding enough and its all dry or I’m adding too much and it looks over greased and ‘clumped together’. Will be trying avocado oil. But my question is do you have any suggestion as far as how much to use to prevent under moisturizing or over moisturizing? I cant seem to find the balance. I heard about many benefits of avocado oil has for hair texture and hair growth. I can’t wait to try it and see the effects. Thanks for the useful information! I’ve had a few people write in and say that coconut oil doesn’t seem to agree with their hair. Some good avocado oil treatments are here https://superfoodprofiles.com/avocado-oil-hair-treatments though you might be better replacing the coconut oil in the first recipe with olive oil. I don’t think it comes down to especially specific amounts, more whether the oil is right for your hair. Could I do Avocado oil mask one night and then the next night use Castor Oil followed the next night with Onion Seed Oil? Or would it be beneficial to add them all together? I tend to think alternating is more effective if you can, though combining can work as well.